Camber: Shaped like upside-down U. Great for speed and stability. 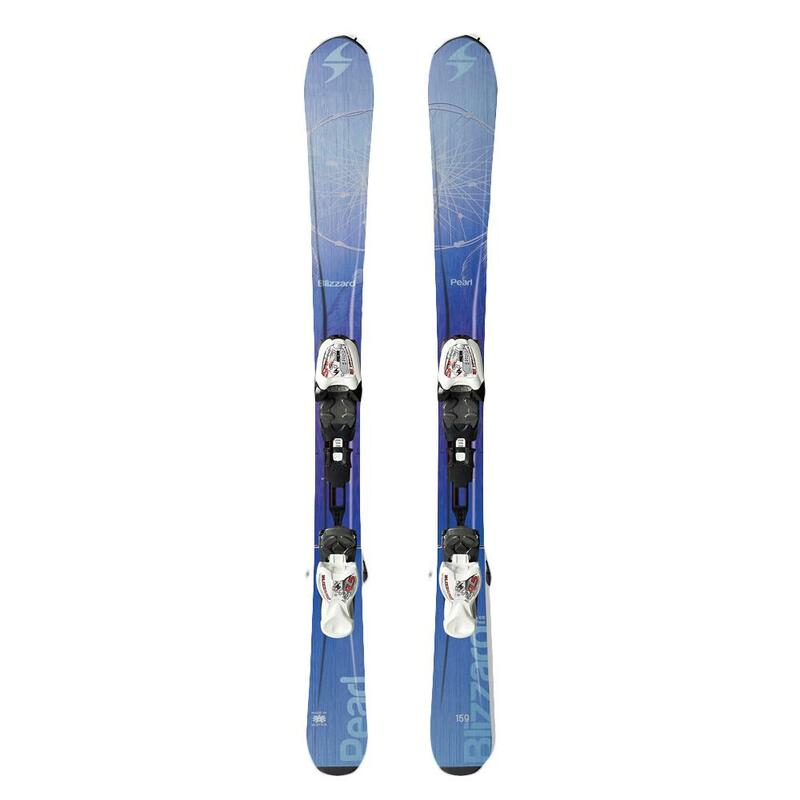 Get them on the mountain right on the Blizzard Pearl Ski System with Bindings. It comes packaged with Blizzard's own IQ 7 binding system, which mounts the bindings on ABS rails, reducing weight and improving flex. It also lets the bindings be repositioned as they grow without damaging the core. And you'll be able to keep these skis that long because the Dura-Tec features assure years of use thanks to thicker topsheets and aluminum tip and tail protectors. "Hi Can you confirm the bindings that come with the 130cm size ski have a DIN setting up to 7 please? " "The bindings that come with this particular ski will be the Blizzard IQ7." "Are these skis second hand? " "All of our items are new. We do not sell used merchandise."